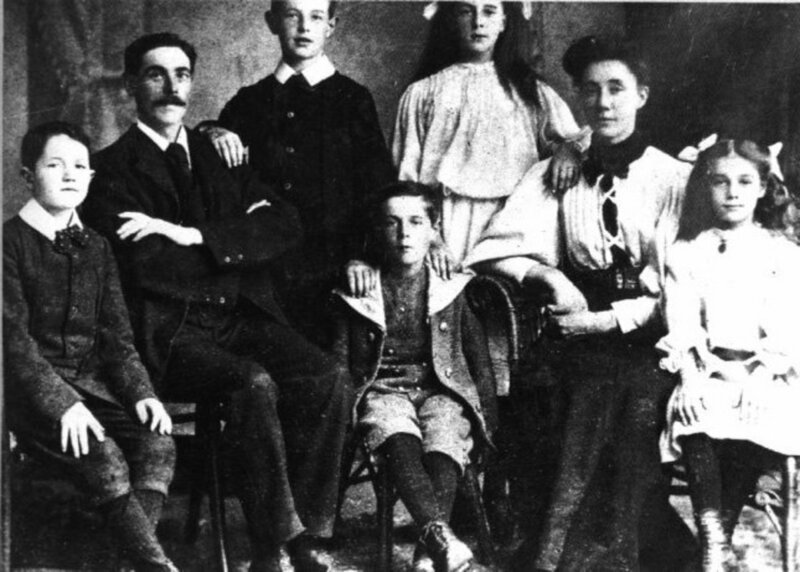 Who Were The Lovers of Harry Gordon Selfridge? 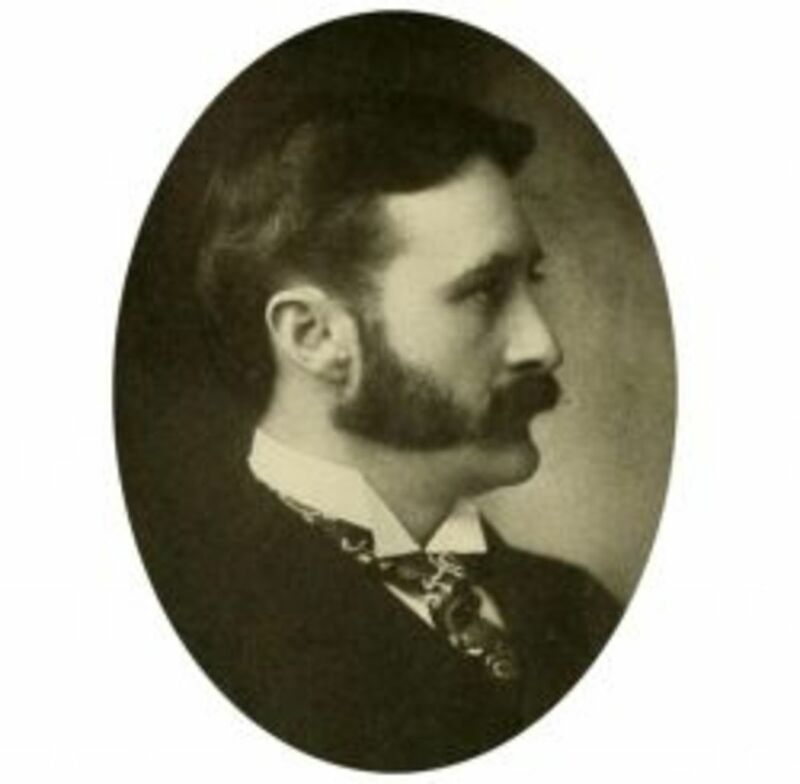 Harry Gordon Selfridge, the creator of the famous London store 'Selfridges', became fabulously rich, was a great family man, supportive husband and fond father but he had two fatal flaws - gambling and womanising. Many famous women of the time fell for this larger-than-life showman and became the lovers of Harry Selfridge - among them: Lady Victoria Sackville, Gaby Deslys, Alice Delysia, Anna Pavlova, The Dolly Sisters, Syrie Barnardo Wellcome (later to become Syrie Maugham), Elinor Glyn , Isadora Duncan, and Marcelle Rogez. Harry Selfridge loved his women to be independent and successful as well as beautiful and famous. He didn't like women to adore him - rather he seemed to glory in 'being treated mean' - and how they did treat poor Harry mean! It could be argued that Harry's wife Rose kept him on the straight-and-narrow but after his death his passions lead to his downfall. Find out how 'The Bright Young Things' who made an 'old fool' from the 'King of Commerce'. This is where most of my information came from initially but this book is so much more than an account of Selfidge's lovers or even his life. It tells the story of one of the most exiting eras in history through the most remarkable rags-to-riches and back again story of one man. Set against the backdrop of phenomenal social and technological change we see the development of massive retail giants, learn the secrets of their marketing stragegies, live the high life with them and share in the triumphs and tradgedies of two wolrd wars. An easy-to-read account of the life of Harry Selfridge, his family, friends, mistresses and business associates put into the context of his time. A gem of a book. Harry sems to have moved into the circle of Syrie Wellcome, the wife of pharmaceutical millionaire Henry Wellcome when he jooined Columbia Lodge 2397 around 1909. 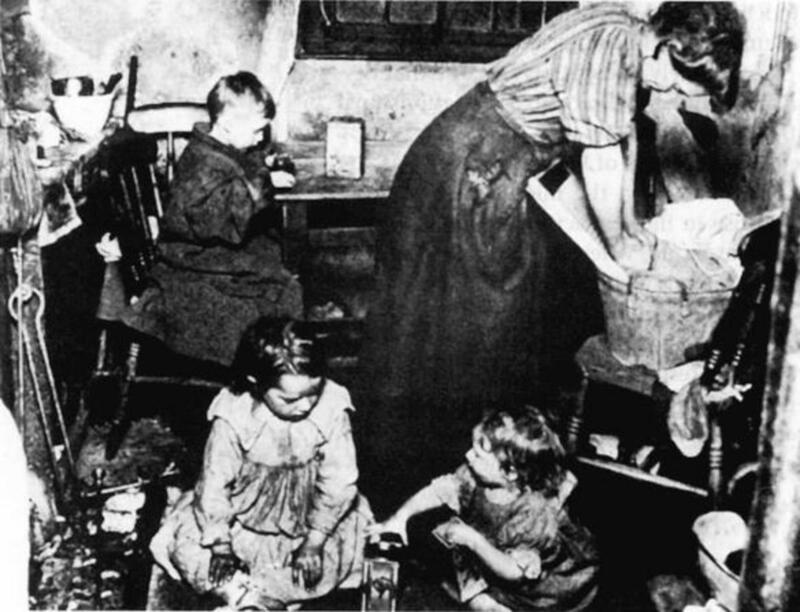 Syrie was the daughter of the well-known philanthropist Thomas Banardo who established the homes for orphans. Syrie married Wellcome when she was only 22 and he was 48. He turned out to be both violent and controlling. When her marriage broke down Syrie had a generous allowance - but one that turned out not to be generous enough in the end. Harry stepped into the cash-flow-breach and gave her the lease of a house in York Terrace West.The affair lasted, on and off for about three years and during this time Harry must have been useful both financially and with providing contacts for Syrie's interior design career. When the affair did come to an end all went rather sour. Syrie met Somerset Maugham (and also an officer, Desmond FitzGerald) but by now Selfridge had become besotted with the French singer Gaby Deslys. In 1922Syrie Maugham sold off Harry's gifts to finance her design business. 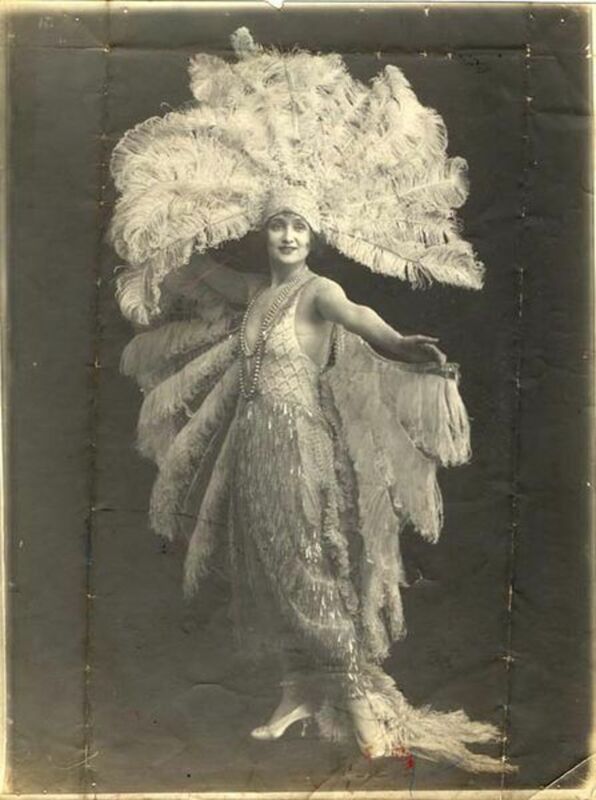 It is said that Harry Selfridge’s lover, the French dancer Gaby Deslys, couldn't wait for a private view at the department store to go and see the newly arrived Barbary plumes. A single ostrich feather of good quality sold for more than Â£5 - just think of the cost of the headdress in the picture opposite in today's money! She earned a magnificent salary herself - one that she would need to keep up with the latest fashions: Poiret's hobble dresses, Doucet's lace robes and show costumes designed by Etienne Drian. Erte drew her, Jacques-Henri Lartigue phtographed her - she was very picturesque, especially in the huge, playful hats she used to wear. By March 1914 the relationship was becoming more intense and Harry showered her with gifts and jewels. At Gaby's death at the age of only 39, the contents of the house Harry had bought for her raised £50,000. By 1922 Harry was head over heeels for a new star, Alice Delysia. She was appearing as a dancer in 'Mayfair and Montmatre' staged by Charles B Cochran. Harry would encourage stars to appear in the store and 'dress' them in furs and jewels. In 1910 Anna Pavolva first appeared publicly in London at The Palace Theatre, Shaftsbury Avenue and the gossip was that Harry was "Ã deux with the queen of he pas de deux" (Lindy Woodhead) Selfridge first met Pavlova in 1909 and Harry was obviously smitten. He was in the habit of sending gigantic baskets of flowers to the dancer. She, along with many other famous and beautiful women, was escorted around Selfridges. 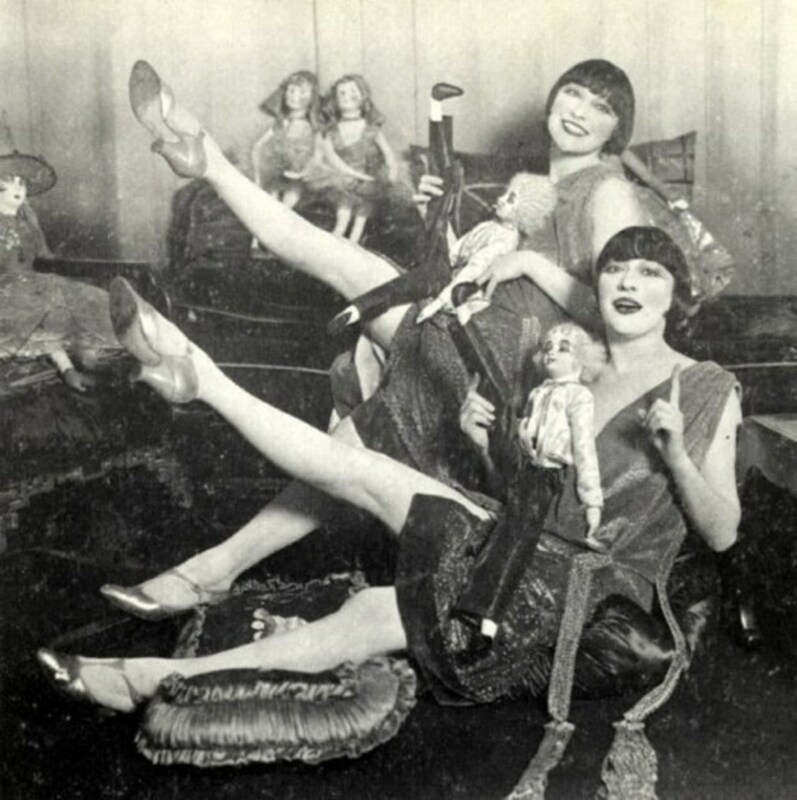 Who were the Dolly Sisters? The Dolly sisters were twins born in 1892 in Hungary but in 1905 they left to seek their fortune in the United States - and they found that fortune. They began as dancers working in beer halls and such like in 1907. Too young for the New York City stage, they toured the Orpheum Circuit, then the Keith Vaudeville Circuit and finally in 1911 they joined the infamous Ziegfeld Follies. From 1913 to 1920 they starred in a number of movies as well as theatres and dance halls and they became wildly popular. 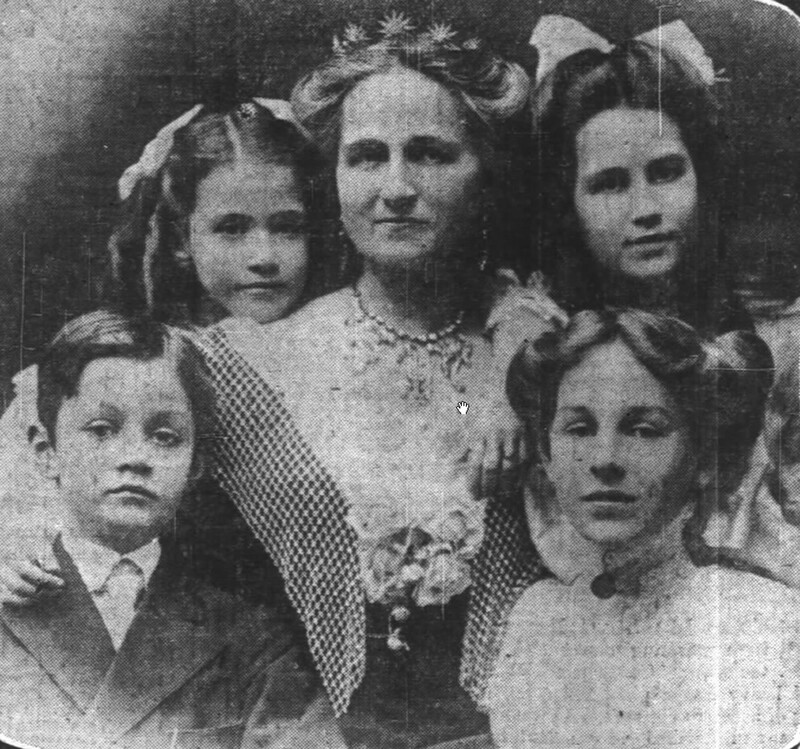 Catching the ever-roving eye of Harry Selfridge, they are reputed to have become his lovers around 1918 as well as his gambling partners. It was said that Selfridge wanted to marry Jenny. Harry was not the only one to want to marry Jenny; she also had another rich lover, the Belgian Jacques Wittouck. Harry and Jacques vied with each other for this Dolly Sister's attention for over ten years. He would give them mind-blowing amounts of money to squander in the gambling towns of Deauville and Cannes and they often made big winnings ( $850,000, 4 million francs, $11 million) but alas they didn't look after the pennies by any means. Selfridge, in addition to supplying gambling funds, also lavish gifts upon them only to be treated with indifference. Harry poured money into Jenny Dolly's lingerie store and continued to support the girls no matter how badly (or even because of how badly) they treated him. A turning point in their careers was marked by a car crash near Bordeaux which caused Jenny serious injuries and left her "a broken shell". She committed suicide in 1941 - she hung herself in her shower at the Shelton Hotel. In 1945 a movie of their lives, 'The Dolly Sisters' starred June Haver and Betty Grable but this fame was not enough to make Rose happy. In 1962 she also tried to commit suicide but failed. Rose died in 1970 of heart failure. Having done the research I was keen to watch the film and see just what they made of the Dolly Sisters. Well - watch it for a laugh if you like but for autobiogaphical detail - it stinks! The Dolly sisters were a dark-haried, dark skinned and rather skinny duo - ruthless with it by all acounts and addicted to gambling. They lived through the 30's. In this film they are fleshed-out 40's plantinum blondes who sought out true love and cleaved to their sweethearts (who thought nothing of ruining their brilliant careers for the sake of a few weeks apart - very 50's). Still, you can watch it for a laugh - the most terrible dances and costumes I've ever seen but there is the one song, 'I'm Always Chasing Rainbows' which is a treat - more research needed to find out how it relates to the Dolly Sisters though. Why do they do that? The Dolly sisters were identical (OK, possibly hard to find identical twins) and had sharp features and sharp, sleek dark hair. Why make them fluffy and blond? Harry had first met Glyn through a mutual friend Ralph Blumenfield, the Daily Express editor.Elinor was not happy in her marriage and has already been having an affair with Lord Curzon, an affair which came to an end in 1910 leaving her sad and in debt to Curzon. She had the good fortune to meet Harry who gave her the money to pay back her debts. It was during this affair that Harry began his affair with Syrie Welcome. Isadora Duncan was renown for her free dance and dress style - the latter oftgen being so free is it was shocking! In 1923 at a Charity Ball held by Marchioness Curzon, Duncan, drunk and hear-naked, ran to Slefrideg and threw her arms around him whereupon Harry, less than galently, ordered his man Eric Dunstan to deal with her. By the time Dunstan caught up with the dancer and whisked her away, Isadora had knocked over a valuable pot during her wild dance. She died at the age of 50, having taken herself and heer drink problem to Paris and Nice. Her death was a tragicomedy - she died when her long silk scarf - so much her trademark - became trapped in a speeding car and strangled her. Marcelle Rogez was the last great love of Harry's life in his twilight years. A beautiful blond woman, so typical of the stars of the the time, Marcelle was on her way to Hollywood. She did have roles in a few films, as far as I can find out she appeared in Cotton Queen 1937, Almost a Gentleman 1938, Koenigsmark 1935, Big Fella 1937. I'm not going to list all references to Wikipedia - just put in the name of each person and you can access the facts and information that I've gleaned from this brilliant resource. I have, though, tried to list all the other interesting sites that I've come across in my wanderings through the love-life(or should it be the 'lust life') of Harry Gordon Selfridge. "'real time': you'll read about stuff that was happening exactly a hundred years "
What Did Rose Selfridge Think? Did his wife have any choice? Rose Selfridge seems to have been a loving wife to Harry so how did she put up with the mistresses being paraded through London and showered with gifts so publicly? We don't know much about Rose after her marriage, but I have noticed that these affairs seem to take place later in Selfridge's life. Could it be that Rose, the mother of four children, was relieved or even pleased that Harry could find satisfaction elsewhere? Was Harry a Romantic Rogue or a Wicked Adulterer? - Can infidelity be ignored in marriage? Would You Tolerate Adultery if You Were Rose Selfridge? No - what about all those nasty diseases? No - the marriage vows include "forsaking all others, keeping only unto her/him"
The book Mr Selfridge by Lindy Woodhead has been made into a fabulous (in my opinion) TV series. Season one, two and three have already been shown on the British channel ITV and filming for the fourth and final season has been underway since April 2015 and will be broadcast in 2016. Well I think I might, Frances. He seemed to have really loved Rose and been a fantastic father. He seemed to have treated everyone kindly and with respect, family and employees. 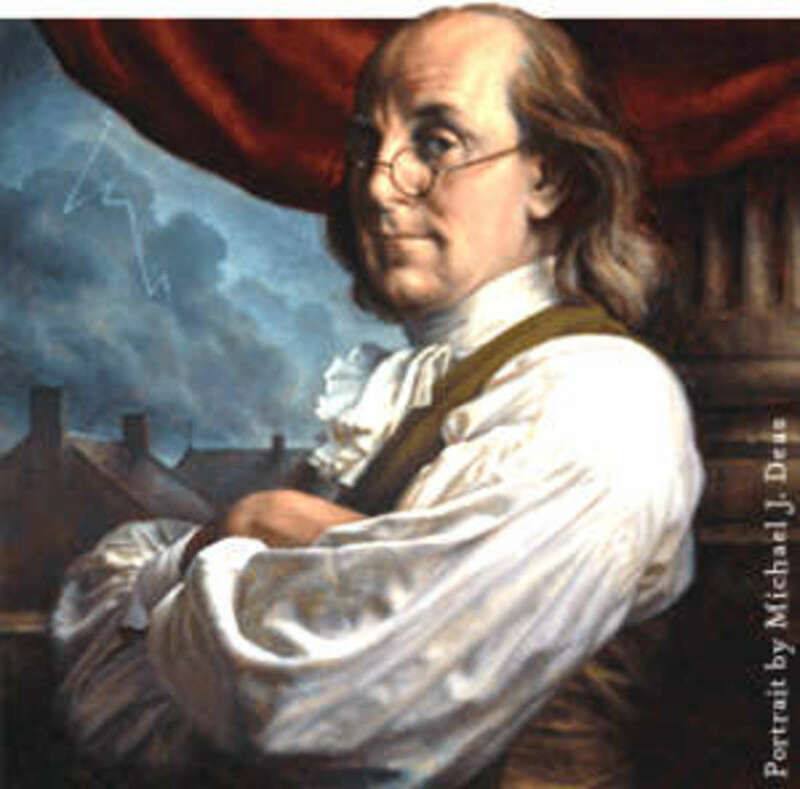 OK - the philandering is not so good but he was incredibly wealthy and did choose his mistresses from the artistic cirle rather than the circle his wife would have kept. Thanks for taking the time to leave a comment. So enjoyed this article, a fascinating man, but I wouldn't have wanted to have been married to him! You'll just have to come back! Visit Limousin for a taste of the real, old-fashioned France. You are so right. We often spend too much time preoccupied with trivia, and we miss the really cool stuff. I've never lived in France. the closest we came was Stuttgart while my husband worked for Porsche, and we often went to Strasbourg for lunch. Such great food! Hi Abbejantz, thanks for dropping by. Wish I'd taken more notice of Selfridges when I lived in London! There is so much of interest all around us that we take for granted. I'll take a look at the Pavlova desert. Very cool. I lived in England for a while, and I often shopped at Selfridges. Who Knew!!! . I just posted a Hub about the Aussie dessert named Pavlova after the ballerina. She surely cut a swathe in her lifetime. Very informative. I recognized some of these ladies, but didn't know anything about him until now.